Main Category: Commercial Fun Food Equipment & Supplies | Material: Plastic | Hayes Specialties Corp.
Are you tired of freezing hands from your metal dipper when you are scooping Sno-Kones&reg? 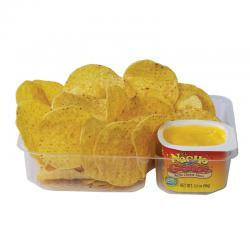 This plastic dipper is just the thing for you. 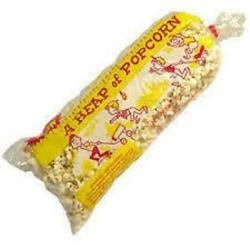 It will fill your regular sized 5 and 6 oz. cups with ease. 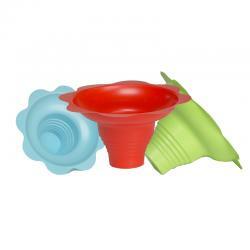 Flower-shaped Sno-Kone cups. Flower-power never looked so good or worked so well. These multicolored plastic cups make a buzz with your Sno-Kones while preventing syrups from leaking out the bottom. Holds 8 ounces. This large plastic ice scoop makes scooping ice fast and easy without the fear of frostbite from a metal scoop left in the ice too long. 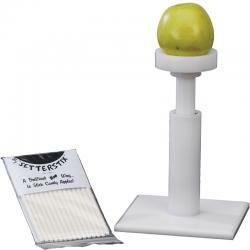 Save time with simple-to-use Setter Sticker for apples. 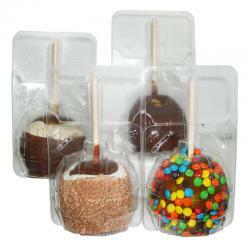 Simply place in a stick and one, quick push will perfectly set your candy or caramel apple stick. 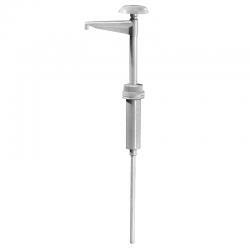 A must for any high volume location. 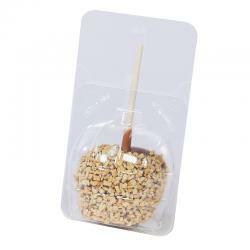 Keep your candy and caramel apples fresh and tasty with cost effective packaging.